In this week’s blog we are going to consider the importance of breathing and how shallow breathing can create a host of problems which cause us pain. In the last two weeks we have considered the influence that the lack of movement and our emotional state can have on our posture, pain level and mobility. Today I would like to reveal why releasing tension through your rib cage and allowing you to breathe deeply will release neck and shoulder pain. People nowadays do not breathe deeply enough. Many are walking around in a figurative corset. Their diaphragm is very tight, the muscles between their ribs have very little movement and their abdominal muscles are so chronically tight, there is very little release of the muscles to allow deep abdominal breaths. This muscular tension and tightness in and around the rib cage creates rigidity when you breathe and move generally. There are several neck muscles which are attached to the first few ribs. If the ribs are rigid with movement, the constant tugging on the neck muscles create chronic pain and headaches. Once we re-introduce movement back into your ribcage and teach the muscles in and around the rib cage when to relax and contract, we will find muscular tension in the neck and shoulders will begin to release. The process of PANDICULATION improves the brain to muscle coordination. This allows the muscles to lengthen as we inhale, shorten when we exhale and fully release when we have the silence pause before the next breath. 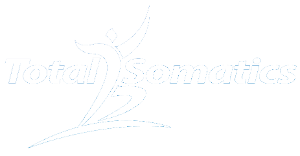 By developing effective somatic breathing, we begin caring for our soma (mind and body). We train our central nervous system to slow down and we begin to sense the feedback from our body. From the challenges I have presented to you so far this month, they really help you to start noticing the small subtle actions your mind and body are constantly creating, often subconsciously. If we are unaware of their long term effects, we can start living in a very tight, tense, stressful soma (mind and body). The research into the effects of breathing are mounting up and it is highlighting what an excellent stress reliever it truly is. The direct effect breathing has on the Parasympathetic nervous system is profound. Deep breathing will dampen the effects of the ‘fight or flight’ response to stress. As a result it also lowers blood pressure, improves heart rate and makes the arteries more flexible. To be somatic means to be able to observe our internal sensations. Noticing the movement of the belly, ribs and chest as you inhale and exhale. Somatic breathing includes increasing sensory awareness to the throat, diaphragm, jaw and shoulders as we breathe. You see, many have lost their focus and become more interested in various breathing methods. Don’t get me wrong, they all have their advantages. However when we live somatically, we are increasing our awareness or mindfulness to how WE FEEL and learning how to breathe fully again, the natural way! We live in a fast paced society which means we often don’t sense anything from the neck down. We live in our heads all the time. When we develop somatic breathing, we start to slow down stress responses and live in the present. Thereby noticing what the SOMA is telling us. As Thomas Hanna the creator of the modality Somatics says, “If you can sense and feel it, you can change it.” He was so correct. We have an amazing mind and body which can unlearn habitual behaviour such as shallow breathing and start adjusting the way the sensory system communicates with the motor system. We can teach the SOMA to breathe deeply and enjoy the health benefits associated with it. When we combine somatic movement sequences with breathing, the benefits increase tremendously. We start to wake the body up and show the muscles that they can relax voluntarily, reducing the feeling of living in a corset or a body feeling bound up with muscle tightness and pain. This week could you make it a daily habit to listen to my mindful breathing audio? Set aside 10 minutes in your day to practise it. As I often say to my clients, if you don’t have time for 10 minutes, you don’t have a life! You need to create a schedule so that your health is top priority. After all if your health starts suffering, everything else has to wait. Find a quiet place. If you have headphones, wear them so you can benefit from the binaural beats which will help slow down your brain waves and allow your central nervous system to switch in to the ‘rest and digest’ phase as you deepen your breathing and notice the calmness from somatic breathing. Click below to listen to the mindful breathing audio. 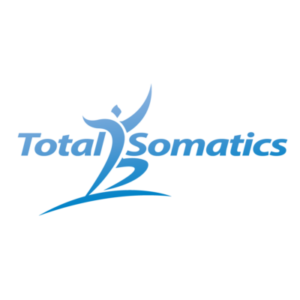 To learn how to combine Somatic movement with mindfulness and mindset, check out my online program at www.TotalSomatics.com.